Singer Madonna called late singer Whitney Houston and actress Sharon Stone "mediocre" in a note. 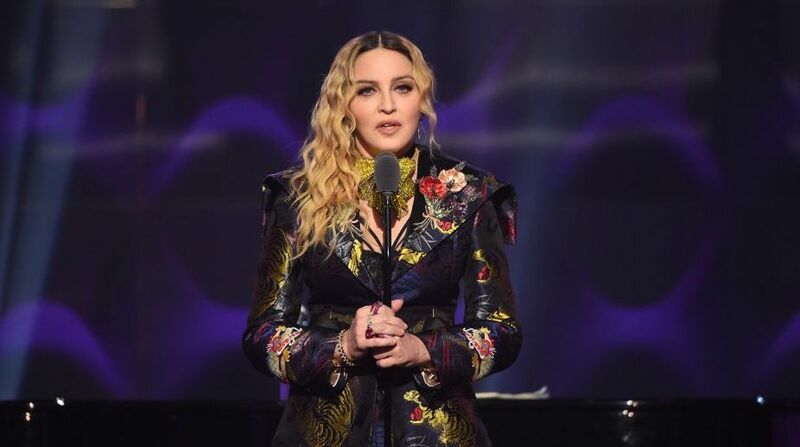 Madonna appeared to slam Houston and Stone in an alleged handwritten letter, which would be up for auction next week in New York, reports aceshowbiz.com. She wrote the letter in the early 1990s to someone called "J". Radar Online reports that according to the aution house, "J" referred to actor John Enos, whom the "Material girl" singer briefly dated back then. In the letter, which was obtained from Darlene Lutz, a long-time personal friend of Madonna's, the diva explained to J why they couldn't be together. "I have made so many people angry that I'm being punished and basically being made to be quiet and sit in a corner while other less interesting (and) exciting people are reaping the benefits of the road I've paved," she wrote in the letter. Madonna went on writing: "It's so unequivocally (sic) frustrating to read that Whitney Houston has the music career I wish I had and Sharon Stone has the film career I'll never have." However, Madonna revealed that it was not because she was jealous of their success and wanted to be them, saying that she would "rather die". "They are so horribly mediocre and they're always being held up as paragons of virtue and some of measuring stick to humiliate me," the "Like a virgin" singer explained. The singer-songwriter continued arguing that she was "too intelligent" to play the game of being accepted.